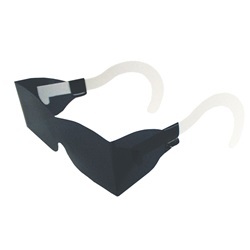 Adult size post mydriatic glasses with white paper temples that are adjustable. These are gray and packaged individually in a protective envelope. Size: 48mm X 132mm. 100 per box.